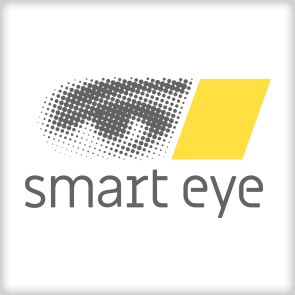 Smart Eye is regarded as a global leader in the development of remote multi-camera head and eye tracking solutions enabling complete freedom of movement within any given application environment while retaining impressive levels of gaze accuracy, field of view and robustness. 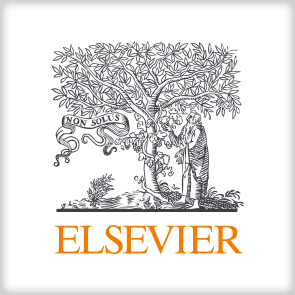 Elsevier is a leading publisher of transportation research, our journals provide a home for pioneering research that showcases how fundamental transportation studies can address the global challenges of tomorrow. 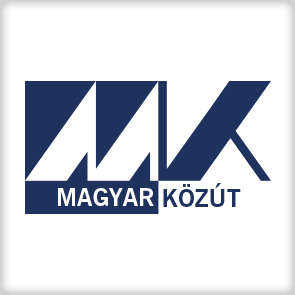 The Hungarian Public Road Nonprofit Private Limited Company is the major road operator in Hungary, performing routine and preventive maintenance tasks, traffic management, truck control and the issuance of route permits. In addition to that, the Road User Information Services, the National Road Databank and the Hungarian Road Museum are also operated by the Organization. The Company has been taking part in several development projects for ITS-technologies, including C-ROADS, CROCODILE I-II-III, TN-ITS GO and FRAME-NEXT. 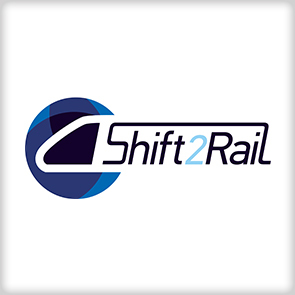 Shift2Rail JU delivering smart and sustainable growth by integrating cutting edge research & innovation solutions to European Railways for passengers and freight. 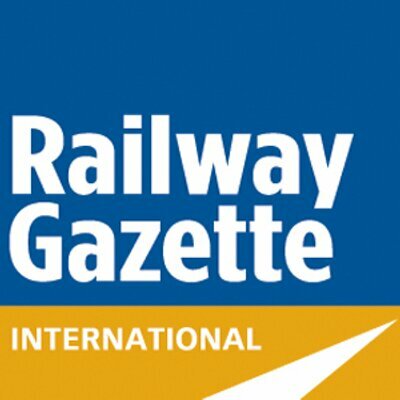 Sustaining the competitiveness of the European rail industry to meet future mobility needs of EU citizens, connecting European Regions. 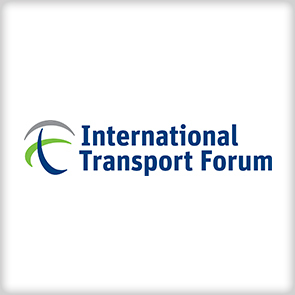 The International Transport Forum at the OECD is an intergovernmental organisation with 59 member countries. 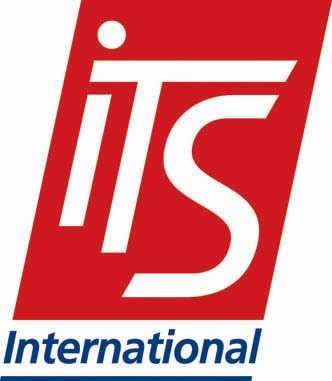 ITF acts as a policy think tank and organise an Annual Summit of transport ministers. 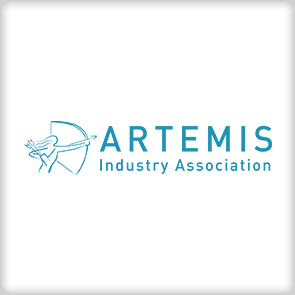 ARTEMIS Industry Association strives for a leading position of Europe in Embedded Intelligence. The Association is a membership organization for the European R&I actors with more than 180 members and associates from all over Europe. The multidisciplinary nature of the membership provides an excellent network for the exchange of technology ideas, cross-domain fertilisation, as well as for large innovation initiatives. As private partner in ECSEL Joint Undertaking, ARTEMIS-IA supports formation of consortia and initiation of project proposals for joint collaboration and creates the meeting place where key industry players and other R&D&I actors identify strategic high priority topics for collaborative R&I projects. 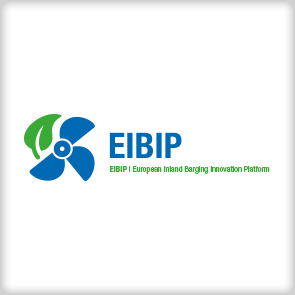 EIBIP is a European platform of regional innovation facilitation centres, established to promote the uptake of innovation of the Inland Waterway Transport sector. The international network consists of four Innovation Centres covering Germany (D-ZIB), France (BATELIA), the Danube region (INDanube) and Poland (CINTRE). The daily Secretariat is run by the Expertise- en Innovation Centre Barging (EICB) based in Rotterdam, The Netherlands. The EIBIP organisation contributes to the inland waterway sector in its further development towards its fullest potential by facilitating innovative actions that lead to more sustainable and efficient operations. At the TRA, EIBIP will amongst other things showcase project results from innovative projects such as LNG Breakthrough and NOVIMAR, which aims to develop the concept of the Vessel Train. Innovative developments are collected and published in the EIBIP Innovation Radar. The tool maps innovations from shipyards, engine producers and other equipment providers. EIBIP is also hosting a Funding Database, which gives a complete overview of available funding for modernisation. EIBIP Innovation Radar and Funding Database can be found online. 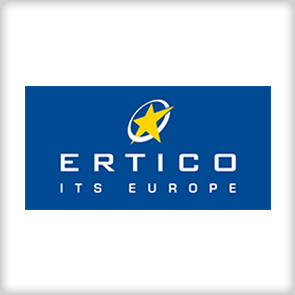 ERTICO – ITS Europe is a public-private membership-driven organisation promoting, developing and deploying Intelligent Transport Systems (ITS) in Europe to save lives, protect the environment and sustain mobility in the most cost-effective way. Founded in 1991, ERTICO now has 120 Partners, connecting public authorities, industry players, infrastructure operators, users, national ITS associations and other organisations and works to “Shape intelligent mobility for Europe together”. 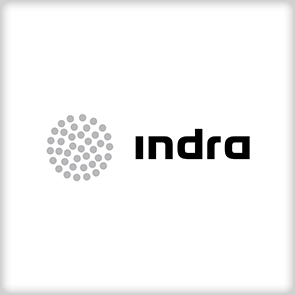 Indra is one of the world’s top consulting and technology companies and a technology partner for the key operations of its customers’ businesses worldwide. It is a leading worldwide provider of proprietary solutions in niche areas in Transport and Defense Markets and the absolute leader in IT in Spain and Latin America. It offers a comprehensive range of proprietary solutions and cutting edge services with a high added value in technology based on a unique culture of reliability, flexibility and adaptability to the needs of its customers. Pavemetrics specializes in 3D vision systems for the automated inspection of transportation infrastructure. 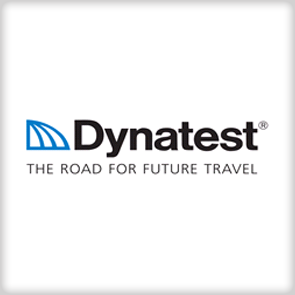 Our systems are used in more than 35 countries around the world to automatically inspect roads, runways, railways and tunnels. Our mission is to provide the best sensors and 3D processing software in the world backed by superior after-sale service, customized to meet our client’s unique needs. 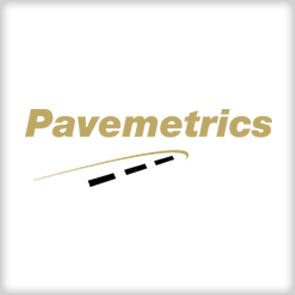 Pavemetrics is proud to count hundreds of sensor integrators, data collection service providers, private engineering firms and Departments of Transportation around the world as its clients. 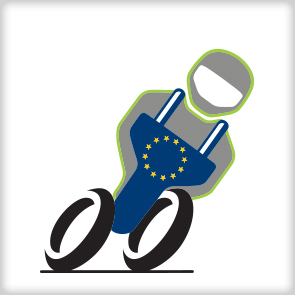 EMBERS is an H2020 project to answer the real challenges posed by city service providers on mobility. 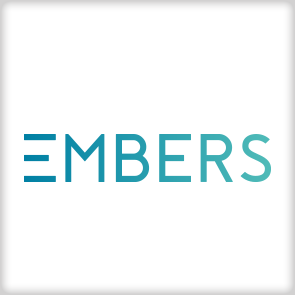 EMBERS aims at providing them with an open and interoperable cloud platform, allowing them to become more efficient and aware for better decision-making. Our offer includes a wide variety of advanced products in the field of testing technology as well as highly specialised engineering services which are applied within testing processes, measurement, control systems and automatic control. Therefore, we can support our customers in order to enable them to meet their technical and business challenges. We specialise in providing solutions within the development and testing of software, control units, complex control systems, machines as well as SCADA systems. 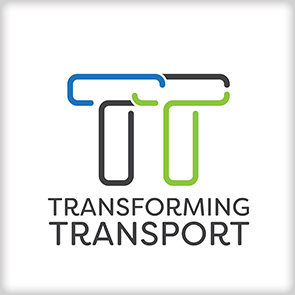 TransformingTransport is a Horizon 2020 project that represents 48 leading transport and logistics technology stakeholders in Europe. The project will demonstrate the transformations that Big Data can bring to the mobility and logistics market. 13 pilots will be deployed in 7 domains: Highways, Vehicle Fleets, Rail Infrastructures, Ports, Efficient Airports, Urban Mobility, e-Commerce. During the TRA 2018, TransformingTransport partners will present the latest project developments and results with three full papers. 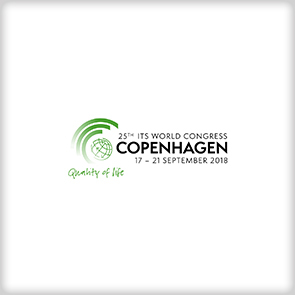 The overall ambitions and key innovations of TransformingTransport will be presented on the podium session on Day 1. Two more presentations are related to the pilots and the methodology. 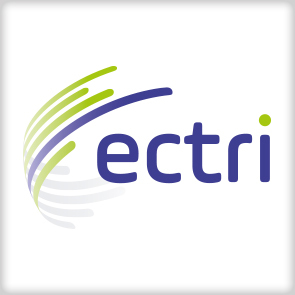 ECTRI, the European Conference of Transport Research Institutes, is the leading European research association for sustainable and multimodal mobility. It was founded in April 2003 as an international non-profit organization. Its members are 27 major transport research institutes or universities from 20 European countries. Together, they account for more than 4000 European scientific and research staff in the field of transport. 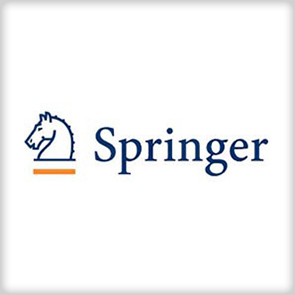 Springer is one of the world’s leading scientific publishers, offering researchers at universities, research institutions and companies innovative products and services from a wide range of high-quality content. The German Aerospace Center (DLR) is the national aeronautics and space research centre of the Federal Republic of Germany. Its extensive research and development work in aeronautics, space, energy, transport, security and digitalisation is integrated into national and international cooperative ventures. In addition to its own research, as Germany’s space agency, DLR has been given responsibility by the federal government for the planning and implementation of the German space programme. DLR is also the umbrella organisation for the nation’s largest project management agency. DLR has approximately 8000 employees at 20 locations in Germany: Cologne (headquarters), Augsburg, Berlin, Bonn, Braunschweig, Bremen, Bremerhaven, Dresden, Goettingen, Hamburg, Jena, Juelich, Lampoldshausen, Neustrelitz, Oberpfaffenhofen, Oldenburg, Stade, Stuttgart, Trauen, and Weilheim. DLR also has offices in Brussels, Paris, Tokyo and Washington D.C.
ANTAREX project is about cost-performance efficient implementations of exascale calculations on supercomputing platforms. 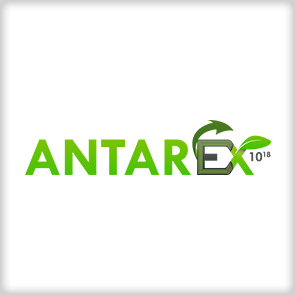 ANTAREX technology has been applied on the usecase related to the traffic prediction and intelligent route calculations for Smart cities. The usecase is a common development of Sygic and IT4Innovations, backed by the technology outcome from Polimi, U-Porto and Inria research partners. 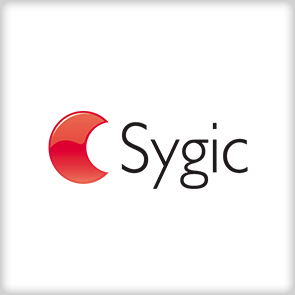 Sygic develops the best-selling GPS navigation app in the world, trusted by 200+ million drivers, and 2000+ fleets worldwide. Sygic designs successful location-based apps ready for integration with 3rd party software and telematics solutions accessible through complete set of SDKs for web and mobile development. With over 15 years of experience with the development of mapping and navigation applications in various industries, such as Automotive, Fleet & Workforce management, Insurance, Utility and Travel, Sygic brings Smart Mobility Applications for Cities. 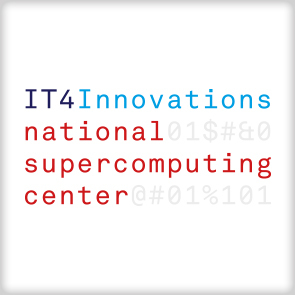 IT4Innovations National Supercomputing Center is a strategic large research infrastructure in the Czech Republic. In the framework of the national supercomputing centre, the most powerful supercomputing facilities in the Czech Republic are operated and excellent research in High Performance Computing and High Performance Data Analytics is conducted. The mission of the centre is to deliver scientifically excellent and industry relevant research. It aspires to improve the quality of life, to increase the competitiveness of the industrial sector and to promote the cross-fertilization of high-performance computing and other scientific and technical disciplines. The centre conducts research in the areas of advanced data analysis and simulations (particularly earth science simulations for disaster management, traffic management, and bioinformatics), parallel algorithms development (particularly numerical modelling for engineering, physics and chemistry), modelling for nanotechnologies, big data, and HPC infrastructure. IT4Innovations currently operates two supercomputers. Anselm was installed in the summer of 2013 and its theoretical peak performance is 94 teraflops. Salomon, with 24,192 CPU cores and 52,704 MIC accelerators, was installed in the summer of 2015, and its theoretical peak performance is 2 petaflops. 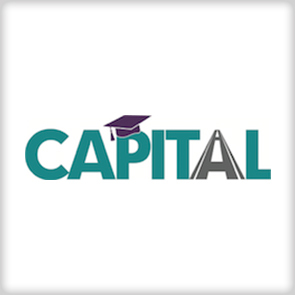 The computational resources of IT4Innovations are mostly dedicated to solving tasks from research and development conducted by academic and research institutions. Part of the capacity is also devoted to the development of cooperation between academia and industry, and to independent use by industrial enterprises. The centre also provides regular training for the HPC community and offers PhD studies in the field of HPC. The centre represents the Czech Republic in pan-European e-infrastructure PRACE (Partnership for Advanced Computing in Europe) and is the only member of ETP4HPC (European Technology Platform for High Performance Computing) from the Czech Republic. 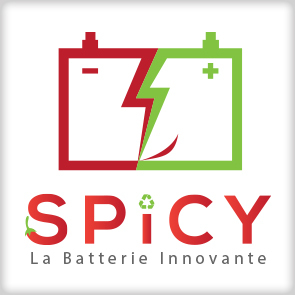 SPICY is a collaborative research project associating 5 industrials partners (3 large groups and 2 SME) with 8 academic and research centres to the multidisciplinary development of a new generation of Li-ion batteries meeting the expectations of electrical vehicle end-users, including performances, safety, cost, recyclability and lifetime. For this purpose, SPICY will consider the development of new chemistry materials, cell architectures and packaging with the support of understanding and modelling activities. SPICY will address the whole value chain until the implementation of manufacturing. 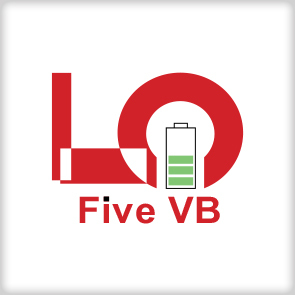 The vision of this FiveVB project is to push European’s Lithium battery industry and academia to take over a leading role in the development and manufacturing of Lithium Ion cells and materials to provide cost and performance competitive Lithium Ion cells and batteries to European and Non-European Automotive Industry. The success of electric vehicles in the mass market depends on the development of high-energy batteries at a competitive price. The research efforts of the past decade have continuously improved the energy densities of batteries, yet electric vehicles have only gradually made their way into the market. A combined surge in both consumer demand and industrial “push” is now on the verge of prompting a significant market uptake. 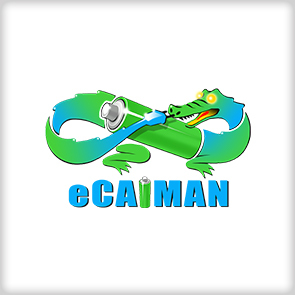 The objective of eCAIMAN is to bring European expertise together to develop an automotive Li-Ion battery cell that can be produced in Europe. 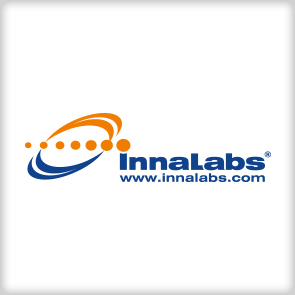 The consortium consists of several highly experienced industrial partners and research organizations. 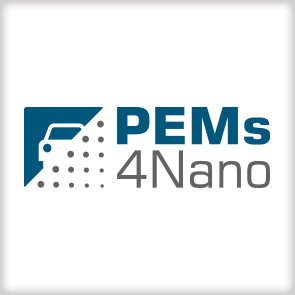 Together we will develop a more powerful battery by modifying and improving individual components and technologies to result in a significant overall improvement of the cell. Key innovations include a 5V high-voltage spinel, a high-capacity composite anode, and a stable high-voltage electrolyte. Their cumulative effect should improve total cell capacity by at least 20%. The project will also investigate the integration in light, passenger, and heavy duty vehicles. 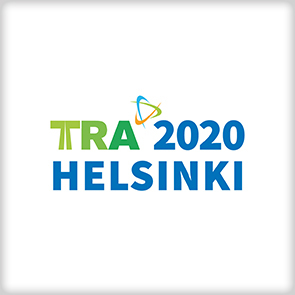 Transport Research Arena 2020 conference will be held in the capital of Finland, Helsinki. The TRA2020 stand gives you a first glance into the 2020 conference. The conference theme is “Enabling the transformation – transport and Mobility (r)evolution for smart, green and integrated society”. The rapid evolution – or even revolution – of transport technologies reshapes the transport system as well as the society itself. Increasingly the attention is focused on customer-oriented transport and mobility services which pave the way for more integrated, smart and green society via all modes. New techniques and smart solutions open up opportunities for infrastructure management, operations and maintenance. The focus in 2020 will be not only on the change but also on how to make that change possible, to support and enable it. 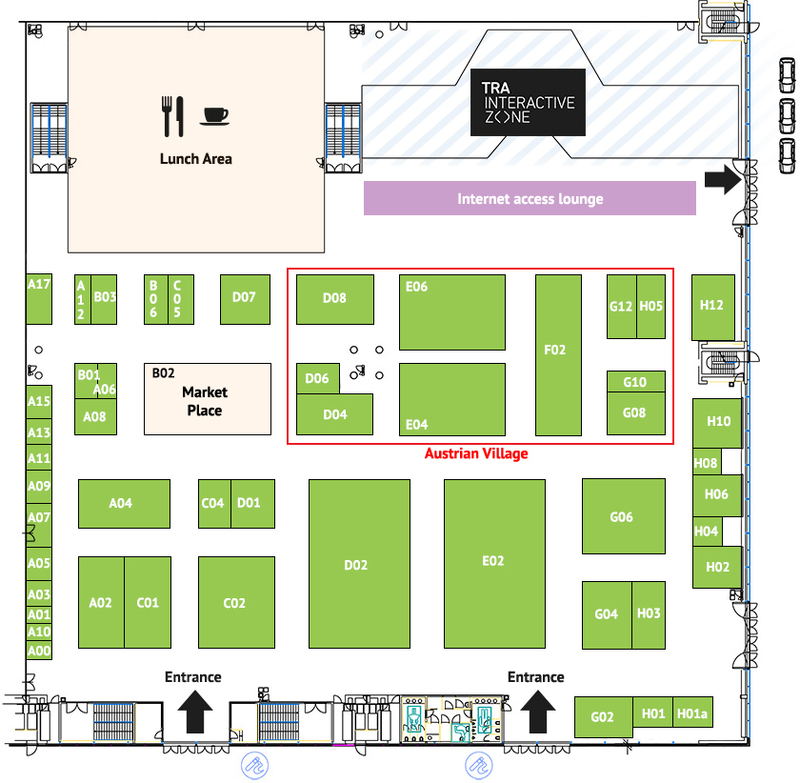 Come and learn, why TRA2020 will be the transport showcase of the year! 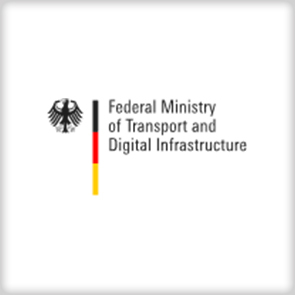 The Road Construction Directorate-General is one of the eight Directorate-Generals of the German Federal Ministry of Transport and Digital Infrastructure (BMVI). The Road Construction Directorate-General is responsible for the federal road network, i.e. around 13,000 km of federal motorways and 39,000 km of federal highways. The Federal Highway Research Institute (BASt) is the practice-oriented, technical-scientific research institute of the German Government in the field of road engineering. It provides the Federal Ministry of Transport and Digital Infrastructure (BMVI) with scientifically valid aids as decision support in technical and transport policy issues. 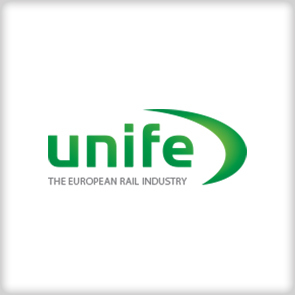 UNIFE is representing the European rail manufacturing industry in Brussels since 1992. UNIFE’s purpose is to represent its members’ interests at international and EU level. The mission of the association is to proactively foster an environment where its members can provide competitive railway systems for the growing demand for rail transport. 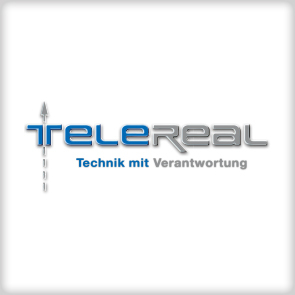 Telereal controls and monitors the compliance of guidelines for mobile network expansion in Vienna. Furthermore, Telereal designs and realizes digital signage systems for all, and especially focusing on people with special needs, for example in the sector of public transportation. 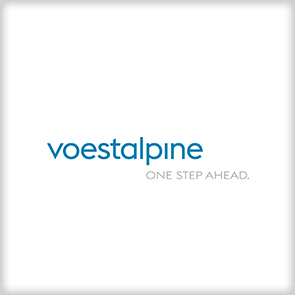 Voestalpine is the global leader for system solutions in the field of Railway Infrastructure, offering outstanding products, logistics and services for rails, turnouts, signaling and monitoring applications. Creating maximum customer benefit is the driving force behind all activities of the group. 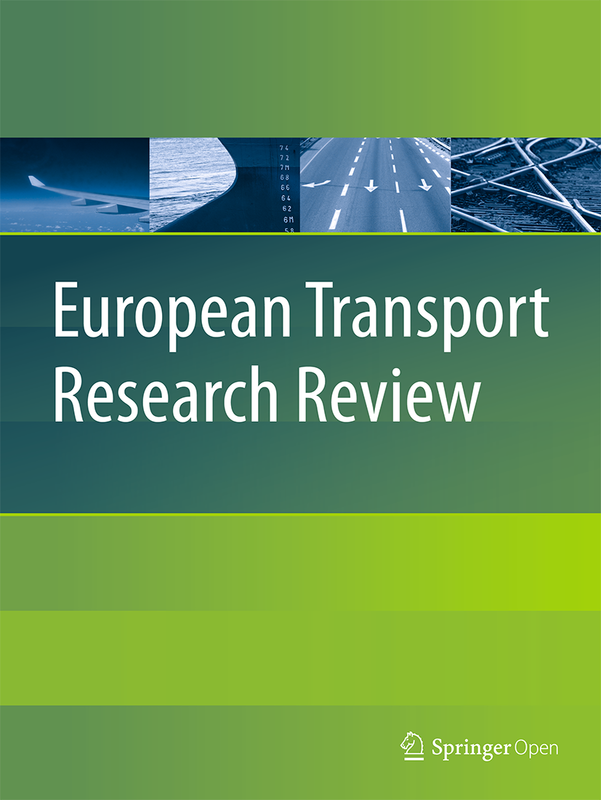 One of the first major activities of the Conference of European Directors of Roads (CEDR) was to establish the Transport Research Arena as the main transport innovation conference in Europe. From road transport origins, in cooperation with our new partners, TRA developed a more multimodal identity; much like many CEDR members including our current Slovene Presidency. Digitalisation at TRA2018 reflects the further broadening of scope to the ‘virtual modes’. 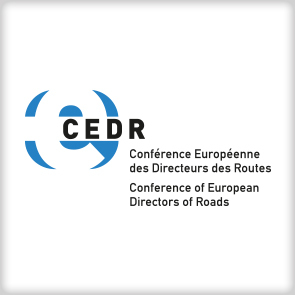 CEDR is the Road Directors’ platform for cooperation and promotion of improvements to the road system and its infrastructure. Members represent their respective national road authorities. Our activities are coordinated in five focus areas reflecting the scope of road authority interests; 1 – digitisation and innovation; 2 – environment and resilience, 3 – safety, operations, mobility and performance, 4 – resources and asset management, and 5 – regulations and harmonization. Digitalisation and Connected & Automated Driving (CAD) includes CEDR Call 2014 Mobility and ITS (MAASiFiE, DRAGON, ANACONDA), Call 2017 Automation, Call 2015 Asset Information Using BIM (INTERLINK), Intercor, Socrates 2.0, Concorda, Uitvoeringsplan VWM and Talking traffic. Network Governance includes H2020’s AM4INFRA and VITALNodes, CEDR Call 2014 Asset Management and Maintenance (PREMIUM, ARISE, ISABELA, DraT, BEST4ROAD), Call 2015 User Needs in a Multimodal Context (STTRIDE, ISAAC) as well as Rotterdam-Ruhr corridor. Collaborative Innovation covers CEDR Call 2016 Biodiversity(ControlInRoad), Call 2015 Climate Change (DeTECToR, WATCH, MODBEAR), Call 2016 Safety (ADVERTS, PROGRESS, SANA 4-U), Call 2016 Water Quality (PROPER, LUNT, MicropRoOf). Following the conclusion of their MoU, CEDR and FEHRL will continue cooperation on TRA and through PIARC, CEDR links to fellow organisations worldwide. 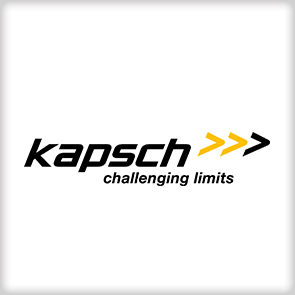 Kapsch Group is a technology company in Austria and a global player in the future-oriented markets of intelligent transportation systems (ITS) and information and communication technology (ICT). Three key entities, Kapsch TrafficCom, Kapsch CarrierCom and Kapsch BusinessCom, form the core of the Kapsch Group. Kapsch makes a key contribution to shaping a mobile and interconnected world in a responsible manner through a range of innovative services and solutions. The name Plasser & Theurer is synonymous with highly developed and innovative machines for laying and maintenance of track on railways all over the world. The development of new technologies and machine designs is part of the central philosophy of the company. Specialisation in track maintenance machines has resulted in an enormous amount of experience and competence. Comprehensive support using innovative technology and extensive know-how has top priority. Apart from its outstanding technological achievements, Plasser & Theurer is committed to find solutions jointly with the customer as a reliable, long-term partner. 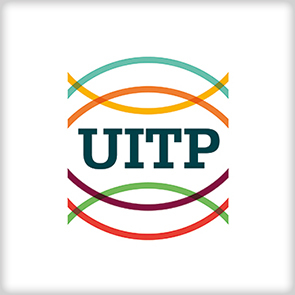 UITP (International Association of Public Transport) is a passionate champion of sustainable urban mobility and is the only worldwide network to bring together all public transport stakeholders and all sustainable transport modes. UITP works to enhance quality of life and economic well-being by supporting and promoting sustainable transport in urban areas worldwide. Currently, it has 1,500 member companies giving access to over 18,000 contacts from 96 countries. 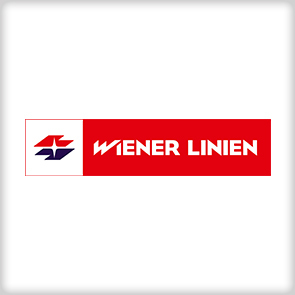 Wiener Linien operates Vienna’s entire local public transport network, thereby contributing to the city’s excellent quality of life. The focus here is on striking a sustainable balance between social responsibility, commercial success and environmental interests. The local public transport network includes 161 underground, tram and bus lines. The underground network extends to 83 kilometers, the tram network comprises around 220 kilometers, which makes it the sixth-largest in the world, and the bus lines travel a network of 850 kilometers. 39% of journeys made by Vienna’s population involve using public transport. And this number is rising. Some 8,700 Wiener Linien employees work 24/7 year round to provide reliable and timely transportation for our passengers. In order for the public transport network to keep pace with Vienna’s growing population, Wiener Linien regularly invests a considerable amount of time and money in modernising and expanding the network, as well as continuously updating the technology and vehicles used. To reduce the environmental impact of the aviation industry, minimizing emissions along the aircraft life cycle is required. 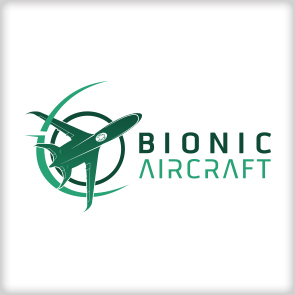 The project aims to leverage the full potential of Additive Manufacturing regarding resource efficient production by implementing bionic design solutions along the process chain. 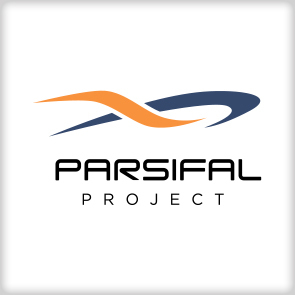 PARSIFAL Project aims at laying the basis to improve future air transport by evaluating the effects of introducing an innovative box-wing aircraft, “PrandtlPlane”, into service. The project is focused on medium size commercial aircraft category. PrandtlPlane, Box-Wing, Novel Aircraft Configuration. Digitalisation is radically changing the way we live and more specifically the way we travel. SESAR, the technological pillar of the Single Europe Sky, is working with stakeholders in the aviation value chain to develop and deliver tech solutions to meet the passenger demand for seamless, smart and safe air travel. 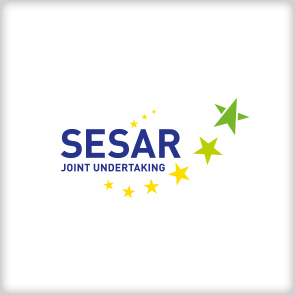 Founded by the European Union and Eurocontrol, the SESAR JU has 19 members, who together with their partners and affiliate associations represent over 100 companies working in Europe and beyond. The SESAR JU also works closely with staff associations, regulators, airport operators and the scientific community. The SMS project provides intelligent wing prototypes achieving optimal shapes and vibratory behavior in real time thanks to novel actuators operating at different time scales in bio-inspired morphing. A novel sensors system linked with the actuators via control law ensure aerodynamic performance increase. MMTech aims to develop technologies and methodologies which have the potential to save cost and time across the whole aircraft lifecycle. 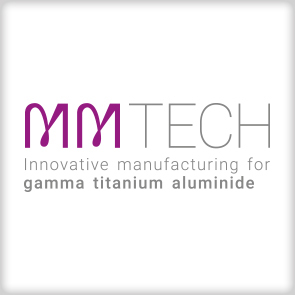 The project takes a scientific approach based on the sustainable introduction of titanium aluminide alloy, γ-TiAl: a promising advanced material for aerospace applications. 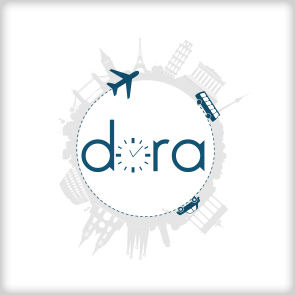 DORA project is designing an integrated information system, including smart phone and web-based applications, which helps passengers to optimize and reduce travel time from an origin of the travel to the airplane at the departing airport as well as from the arrival airport to the final destination. 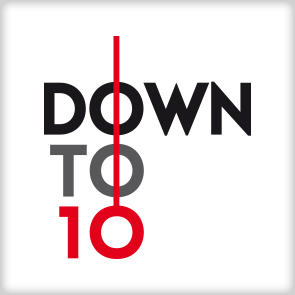 DownToTen is developing a robust methodology that will enhance the regulatory approach towards particle number (PN) emissions in the sub 23nm region. The focus is on the new generations of direct injection gasoline and diesel engines under real world conditions. 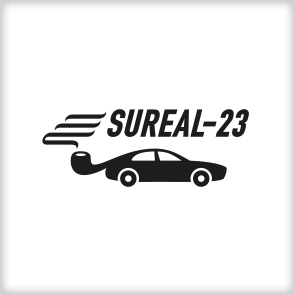 SUREAL-23 focuses on exhaust particle emissions smaller than the current limit of 23 nm and overcomes existing barriers by introducing novel measurement technology for concentration/size/composition and advanced particle sampling. It will support future emissions legislation and in particular RDE limits. The Easily diStributed Personal RapId Transit (ESPRIT) project aims to develop a purpose-built, light weight L category electric vehicle that can be stacked together to gain space. Thanks to pioneering coupling systems, up to 8 ESPRIT vehicles can be nested together in a road train, 7 being towed, for an efficient redistribution of fleets and a smartly-balanced and cost efficient transport system. To prove the ESPRIT concept, the project will also work on a suite of modelling and simulation tools to predict, once ESPRIT vehicles are deployed, the economic, social and environmental benefits as well as key operating strategies. EU-LIVE provides a comprehensive European solution for the next generation of electrified, cost- and energy-efficient light urban vehicles to cope with the challenges of future personal urban mobility, based on both user needs and acceptance. – Improving the driver experience through ad-hoc HMI concept. 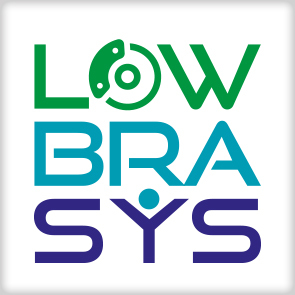 The LOWBRASYS project aims at demonstrating a novel and low environmental impact brake system that will reduce micro and nanoparticles emissions by at least 50%, improving air quality with positive effects on both environment and human life. While accident data show a decreasing number of fatalities and serious injuries on EU roads, the proportion of elderly fatalities has increased recently. 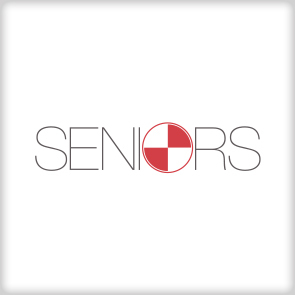 The SENIORS project focuses on the protection of elderly and overweight road users by improved passive safety for these groups. Scientific knowledge plays a crucial role in addressing global challenges such as climate change ageing population economic crises or migration. 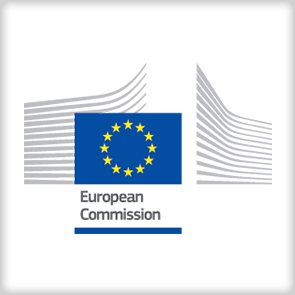 The JRC acts as a science provider and knowledge broker. We ensure that policy makers have the best available evidence when taking important decisions that have an impact on your daily life. The aim is to use scientific knowledge to build solutions that are effective, efficient, equitable and sustainable. 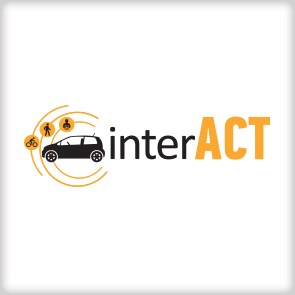 interACT enables the safe integration of Automated Vehicles into mixed traffic environments by designing, implementing, and evaluating solutions for safe, cooperative, and expectation- conforming interactions between the Automated Vehicle and both its on-board user and other traffic participants. 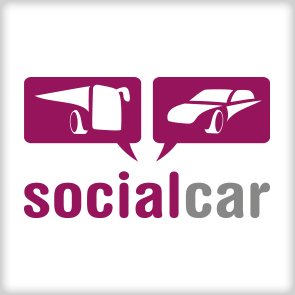 SocialCar develops a user-oriented platform for planning and booking combining carpooling and other on-demand services with regular collective transport, in an effort to mainstream the concept of a public-private co-modal urban transport. Maritime disasters in recent years have accentuated the need for timely and effective evacuation of large passenger ships during emergency. 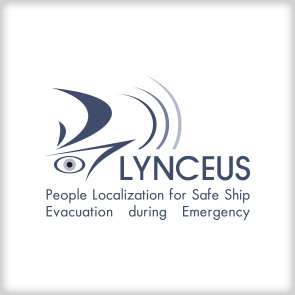 Lynceus2Market addresses this exigency by developing a revolutionary operational system for safe evacuation based on innovative people localisation technologies. 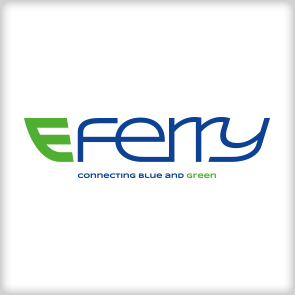 E-ferry addresses the urgent need for reducing European GHG emissions from waterborne transportation by designing, building and demonstrating a 100% electrically powered, emission free, passenger and car ferry. The E-ferry is estimated to reduce emissions by 2.000 tons of CO2, 4,15 tons of NOx, 1,35 tons of SO2 and 2,5 tons of particulates, per year, when compared to conventional diesel-driven vessels. 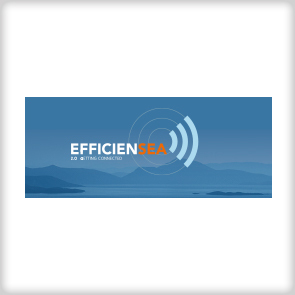 EfficienSea2 has developed innovative and smart solutions for efficient, safe and sustainable traffic at sea through improved connectivity for ships. Through global collaboration, use of open source software and an explicit aim for standardisation, the project has paved the way for a global roll-out of digitised navigation and data exchange at sea. 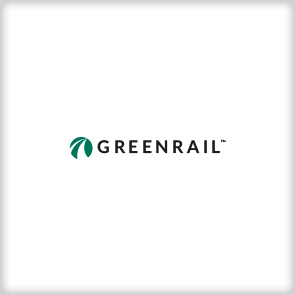 Greenrail is a sustainable railway sleeper in pre-stressed concrete with an outer shell made of End-of-Life Tyres & recycled plastics. It allows to reuse up to 35 tons of these materials per km, and to integrate smart systems for energy harvesting & data transmission in Solar, LinkBox & Piezo versions. 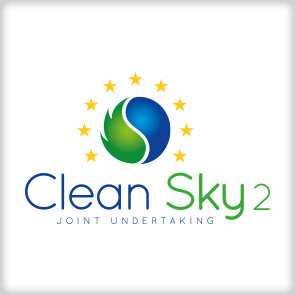 Clean Sky, part of the EU’s Horizon 2020 programme, develops innovative, cutting-edge technologies aimed at reducing CO2, gas emissions and noise levels produced by aircraft. Bringing together the aeronautics industry, SMEs, research centres and academia for the best innovative results, Clean Sky contributes to strengthening European aero-industry collaboration, global leadership and competitiveness. 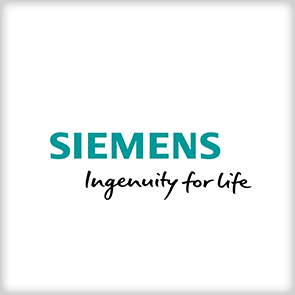 The Mobility Division of Siemens AG is the global market leader for mobility solutions that enable the efficient, safe and ecofriendly transport of people and goods – and help improve the quality of everyday life for millions of people around the globe. Our range of offerings includes rail vehicles, rail automation, road traffic management systems and intelligent traffic systems as well as rail electrification and data-driven services. Our intelligent mobility solutions increase the availability of infrastructure, optimize throughput and take transportation to the next level. This is Ingenuity for life. 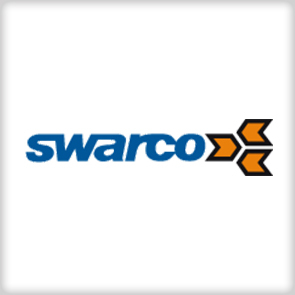 SWARCO – the traffic technology corporation of Austrian entrepreneur Manfred Swarovski – is a growing international group providing the complete range of products, systems, services and solutions for road safety and intelligent traffic management. 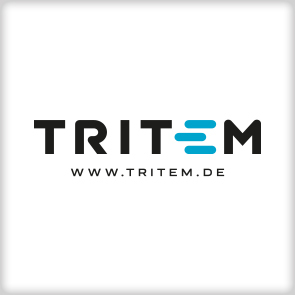 With almost five decades of experience in the industry, the corporation supports the growing mobility needs of society with turnkey systems and solutions in road marking, urban and interurban traffic control, parking, public transport, infomobility and street lighting. Cooperative systems, V2I communication, electromobility, and integrated software solutions for the Smart City are latest, future-oriented fields in the group’s portfolio. 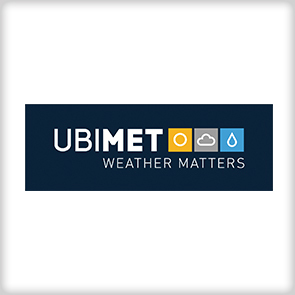 UBIMET is the globally leading provider of meteorological forecast systems, information and tailor-made services. 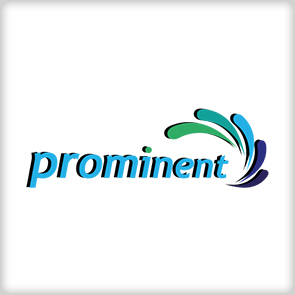 With all of its services, UBIMET places the highest emphasis on quality and meeting the customers’ demands. Around the clock, 365 days a year, data, weather models, radar and satellite images are analyzed and interpreted by high-performance computing systems and specially trained experts. The precise meteorological information provided by UBIMET enables companies to work faster, in a more efficient and cost-conscious manner, and more successfully in their sector than the competition. 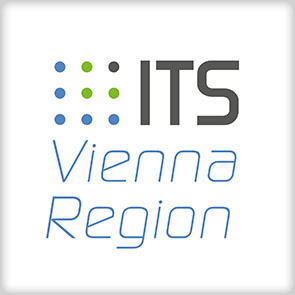 ITS Vienna Region is the competence center for Intelligent Transport Systems (ITS). It was founded by the three Austrian provinces Vienna, Lower Austria and Burgenland in 2006. With more than 15 experts ITS Vienna Region is part of the Verkehrsverbund Ost-Region VOR. ITS Vienna Region collects traffic data and processes them to be used as a basis for traffic management, e-government and traffic services. For the general transport user ITS Vienna Region operates traffic information services such as AnachB. The world of automated driving is coming closer to reality. As the exciting possibilities of this new technology unfold, there is a growing need for testing and verifying the components and systems of automated driving in diverse and complex scenarios. ALP.Lab GmbH (Austrian Light Vehicle Proving Region for Automated Driving) has developed a sophisticated testing environment to meet this demand. Along with public roads, proving grounds, and facilities for data recording and processing, ALP.Lab offers a comprehensive virtual testing environment and a unique test laboratory. So potential challenges can be foreseen as the technology progresses. As an alliance of automotive supplier companies (AVL, Magna) and scientific partners (Joanneum Research, TU Graz, Virtual Vehicle), ALP.Lab will meet the challenges that lie ahead for the future of driving. 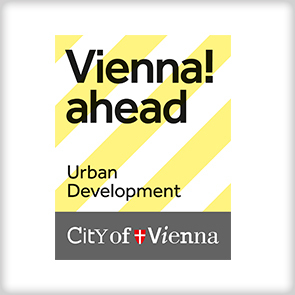 Urban Innovation Vienna has been the new competence centre for future urban issues in Vienna since 2017. 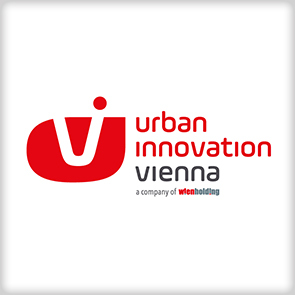 Urban Innovation Vienna was established to develop innovative strategies for overcoming the diverse and complex agendas of a city through dialogue with decision-makers from politics, administration, and businesses, and to lead international discourse on the subject. 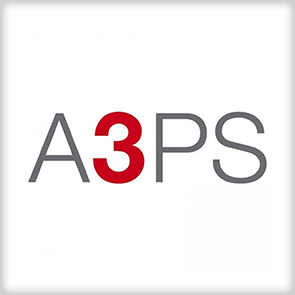 A3PS is a strategic partnership between the Austrian technology policy, industry and research institutions whose mission is to enforce and strengthen R&D and innovation in the areas of advanced power train systems and innovative vehicle technologies, new energy carriers and storage for mobile applications – aiming at improved energy efficiency and lower emissions. A3PS addresses the entire innovation cycle from research and development to deployment: stimulating R&D collaboration among our members, cooperating with relevant initiatives and platforms, contributing to coordinated and informed action of Austrian players in the innovation process and providing consultancy and recommendations for policy makers to support the optimization of their policy instruments. The local host city of TRA 2018, Vienna, presents its comprehensive Smart City Strategy in an exhibition at the main venue of the conference, and its transport and mobility policy in a technical tour on “Smart Mobility Vienna”. 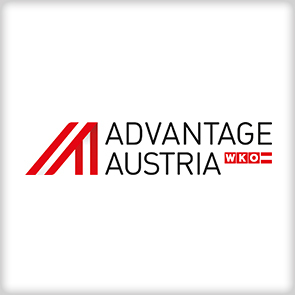 ADVANTAGE AUSTRIA, with its about 110 offices in over 70 countries, provides a broad range of intelligence and business development services for both Austrian companies and their international business partners. 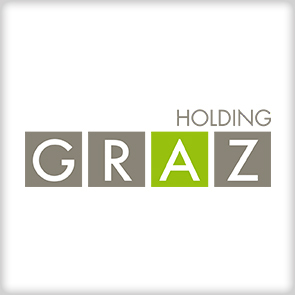 Around 800 employees and 35 consultants around the world can assist you in locating Austrian suppliers and business partners. We organize about 1,200 events every year to bring business contacts together. Other services provided by ADVANTAGE AUSTRIA offices range from introductions to Austrian companies looking for importers, distributors or agents to providing in-depth information on Austria as a business location and assistance in entering the Austrian market. Our job: to create and develop an intelligent and efficient infrastructure; to shape and promote innovative initiatives. Our concern is with the wellbeing of our citizens nationwide and with making an active contribution to European integration. Our work is geared to developing Austria in a sustainable manner, making the country a desirable location and improving the quality of life of its citizens. To that end we work to secure conditions in which a fair balance of interests in society can be achieved in the areas of communications and mobility and we promote innovation and technology. In this way we are laying the foundations today for successes tomorrow. Together with our partners we develop the right conditions for areas of vital importance to our country. The optimising of infrastructure such as railways, roads, waterways, air transport and telecommunications, and its technical and operational safety, is a factor which significantly determines our quality of life. Innovation and technology pave the way to future developments. And increasingly we provide these services in a pan-European context. 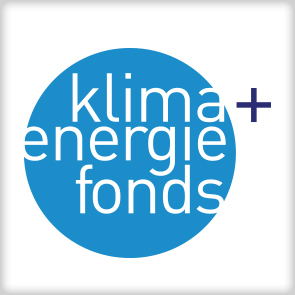 The Austrian Climate and Energy Fund supports the government in boosting the development of a sustainable energy and mobility system. 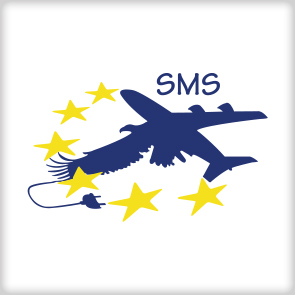 As a mission oriented One Stop Shop, it is a unique instrument in Europe. The funding programmes of the Climate and Energy Fund work across sectors and institutions and they shorten the path of innovation from research to the market. In its long-term strategy, the Climate and Energy Fund pursues an intensive co-operation with science, businesses, politics and society. Positioning Austria as frontrunner for a sustainable energy future in Europe also benefits the regional economy: generating added value and creating high-quality green jobs. AustriaTech strives to increase the beneﬁt to society resulting from new technologies in transport and trafﬁc in Austria, as well as to create economic beneﬁt through the optimi-sation of future trafﬁc. 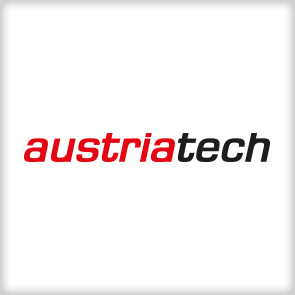 AustriaTech’s activities are focused on future-oriented mobility issues: digital infrastructure, decarbonisation, automated driving, mobility as service and connectivity and C-ITS. As a state-run agency, AustriaTech operates in the interests of the public and follows the strategic objectives and guidelines set down by the federal government. The company’s partners are infrastructure operators, mobility providers, trade and industry, as well as research institutions and authorities. The Austrian Research Promotion Agency (FFG) is the national funding agency for industrial research and development in Austria. As a “one-stop shop” offering a diversified and targeted programme portfolio, the FFG gives Austrian businesses and research facilities quick and uncomplicated access to research funding. 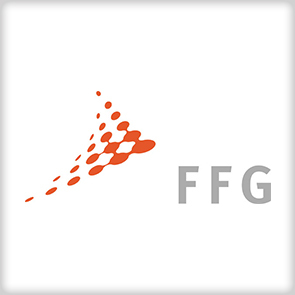 All FFG activities aim to strengthen Austria as a research and innovation centre on the global market and thus help to ensure the long-term availability of high quality jobs and maintain the prosperity of one of the world”s wealthiest countries. 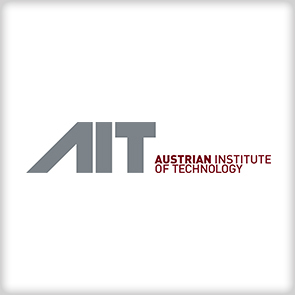 The AIT Austrian Institute of Technology takes a leading position in the Austrian innovation system and a key role in Europe as the RTO focusing on the key infrastructure topics of the future. As a national and international network node at the interface of science and industry AIT enables innovation through its scientific-technological expertise, market experience, tight customer relationships and high quality research infrastructure. 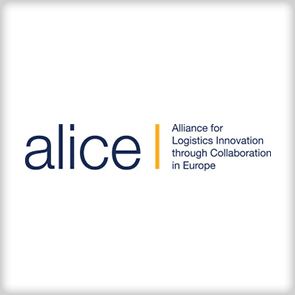 ALICE is based on the recognition of the need for an overarching view on logistics and supply chain planning and control, in which shippers and logistics service providers closely collaborate to reach efficient logistics and supply chain operations. This collaboration will take the future logistics to the next level and enables a new sustainable and environmentally friendly approach in supply networks management – the Physical Internet. 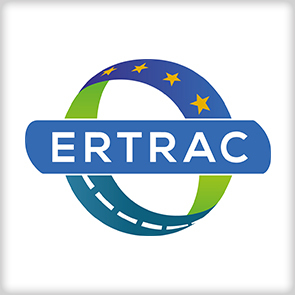 ERTRAC is the European Technology Platform gathering all the actors involved in road transport research: industry, researchers and public authorities. ERTRAC roadmaps include key topics like Electrification, Powertrains, Automated Driving, Urban Mobility, Road Safety, Freight System, Global Competitiveness, etc. 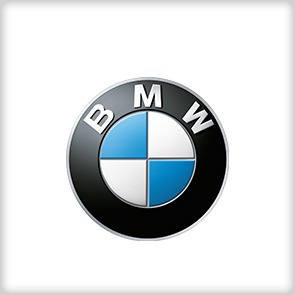 BMW is a comprehensive and ground-breaking concept for sustainable mobility. It represents visionary electric vehicles and mobility services, inspiring design and a new understanding of premium that is strongly defined by sustainability. 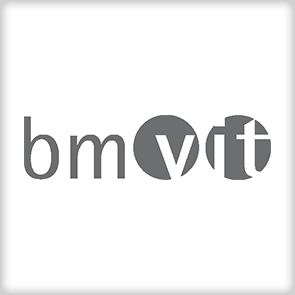 AVL is a company for the development, simulation and testing technology of powertrains (hybrid, combustion engines, transmission, electric drive, batteries and software) for passenger cars, trucks and large engines. 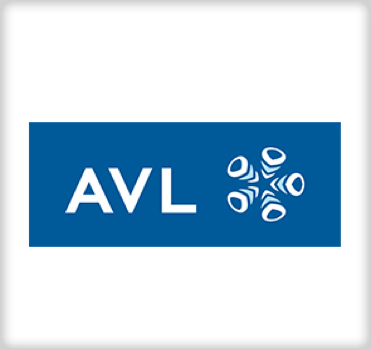 AVL has more than 8,600 employees all over the world. In 2016, sales revenues reached EUR 1.4 billion. A broad range of services make Magna Steyr the worldwide leading brand-independent engineering and manufacturing partner for OEMs. 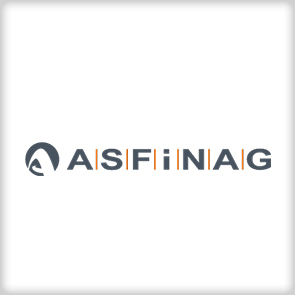 ASFINAG is a reliable partner on Austria’s motorways and expressways. It was founded in 1982 and is a federal agency. Its responsibilities: to plan, finance, build, maintain, operate and collect toll for 2,200 kilometres of motorways and expressways. 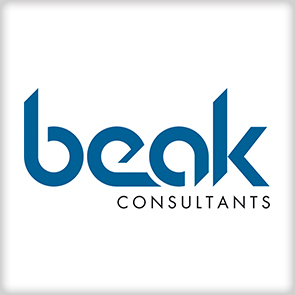 Beak Consultants offers a broad range of planning, research and development services in the area of environmental planning, geology, hydrogeology, minerals, cartography, data management and information technology. Our advangeo® software solutions identify geohazards along roads and railways. The Volkswagen Group, with its headquarters in Wolfsburg, is one of the world’s leading automobile manufacturers and the largest carmaker in Europe. 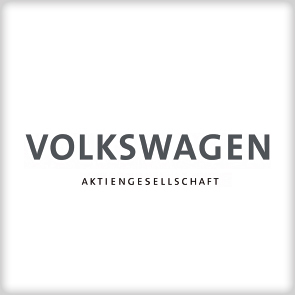 The Group comprises twelve brands from seven European countries: Volkswagen Passenger Cars, Audi, SEAT, SKODA, Bentley, Bugatti, Lamborghini, Porsche, Ducati, Volkswagen Commercial Vehicles, Scania and MAN. The Group operates 120 production plants in 20 European countries and a further 11 countries in the Americas, Asia and Africa. Every weekday, 626,715 employees worldwide produce around 43,000 vehicles, and work in vehicle-related services or other fields of business. The Volkswagen Group sells its vehicles in 153 countries. 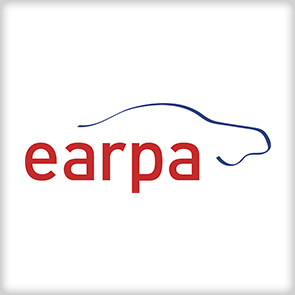 EARPA is the association of automotive R&D organisations. It brings together the most prominent independent R&D providers in the automotive sector throughout Europe. Its membership counts at present 55 members ranging from large and small commercial organisations to national institutes and universities. The FEV Group is an internationally recognized powertrain and vehicle engineering company that supplies the global transportation industry. 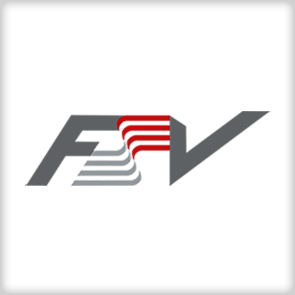 FEV offers a complete range of engineering services, providing support across the globe to customers in the design, analysis, prototyping, powertrain and transmission development, as well as vehicle integration, calibration and homologation for advanced internal combustion gasoline-, diesel-, and alternative-fueled powertrains. 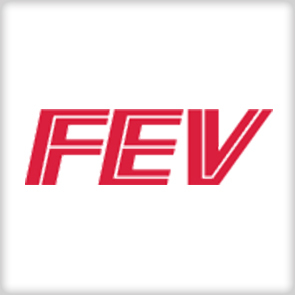 FEV also designs, develops and prototypes advanced vehicle / powertrain electronic control systems and hybrid-electric engine concepts that address future emission and fuel economy standards. The company has expanded its engineering capabilities to include full vehicle systems and now offers broad expertise in electronics, telematics and infotainment system engineering. The FEV Test Systems division is a global supplier of advanced test cell, instrumentation and test equipment. ÖBB is Austria’s largest mobility services provider. As a comprehensive, global mobility services provider the ÖBB Group brings 461 million passengers and 111 million tons of goods to their destination every year in an eco-friendly manner. 92 percent of the traction power comes from renewable energy sources, up to 90 percent from hydraulic energy. In 2016, ÖBB was among the most punctual railway operators in Europe with a punctuality rate about 96 percent. 40,265 employees in railways and bus services (plus about 1,900 apprentices and trainees) across the Group ensure that around 1.3 million passengers reach their destination safely every day. 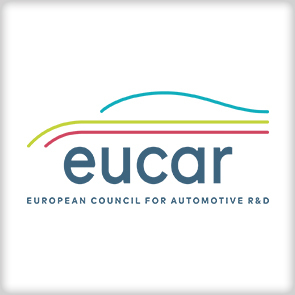 EUCAR is the European Council for Automotive R&D of the major European passenger car and commercial vehicle manufacturers. EUCAR facilitates and coordinates pre-competitive research and development projects and its members participate in a wide range of collaborative European R&D programmes. The European automobile manufacturers are the largest private investors in R&D in Europe with over €50 billion investment per annum, or 4% of turnover. EUCAR members are BMW, DAF, Daimler, FIAT Chrysler Automobiles, Ford of Europe, Opel Automobile GmbH, Hyundai, IVECO, Jaguar Land Rover, PSA Peugeot Citroën, Renault, Toyota, Volkswagen, Volvo Cars and Volvo Group. EUCAR is closely connected to ACEA, the European Automobile Manufacturers Association. PROMINENT, a project funded from the Horizon 2020 programme, will address the key needs for technological development, as well as the barriers to innovation and greening in the European inland navigation sector. PROMINENT thereby is fully in line with the objectives of the European action programme NAIADES-II. PROMINENT is ultimately aimed at providing solutions which make inland navigation as competitive as road transport in terms of air pollutant emissions by 2020 and beyond. In parallel PROMINENT aims to further decrease the energy consumption and carbon footprint of IWT, an area where IWT has already a strong advantage compared to road transport. The STC Group is a worldwide operating educational and research institution for the shipping, logistics, transport and process industries. 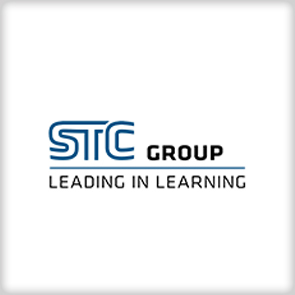 The STC Group furthermore offers business courses and training for professionals. The STC Group participates in international activities and has offices in the Netherlands and abroad. The organization’s headquarter are located in mainport Rotterdam. 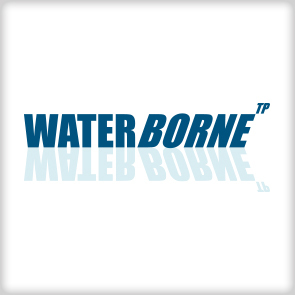 The WATERBORNETP is one of the some 30 technology platforms in the EU and where appropriate possibilities for exchanges or other ways of cooperation are investigated. The Waterborne community has issued the Waterborne Declaration, in which it commits to play a critical role in helping to achieve the “Europe 2020” objective of smart, sustainable and inclusive growth. 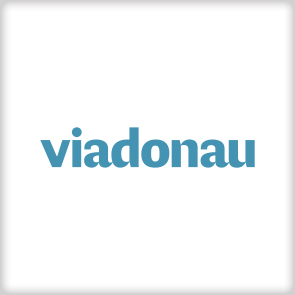 viadonau – Österreichische Wasserstraßen-GmbH provides for a safe and efficient waterway, maintains and improves habitats along the Danube, promotes innovative solutions for environmentally friendly ship traffic, thereby strengthening Austria as a business location. In addition, viadonau is continually installing and modernising systems to protect local populations against flooding along the Danube, March and Thaya.